Being part of HAM is definitely a great experience. To me, it's not only a training group, but more of a family. I joined towards the end of my 8th grade year. At the time, I was definitely not one of the fastest athletes, and I didn't have the best technique. I didn't even know what a drive phase was. I did love running, though, especially the competitive aspect of it all. Eventually, I started training with Rob and I heard it was going to be challenging, but I was up for it. My first practice was one of the more grueling things I've ever experienced at the time, and I've never been pushed the way I was. At the end of the day, I realized that I'd have to go through this everyday, but I grew to love it. All the lactic in my legs, tears,blood, and sweat, was worth it. As months went on, I started seeing major results. I dropped down to a 58 in my 400 as a freshman. My technique also ameliorated. Every race I would go out and run faster than I did before. "Just Go Faster", as coach says. Practices became harder, but I loved it because I was able to get through it with people who had the same drive as me. Compared to a few months ago, our practice paces are faster and we are expected to hit our paces. Practice is always a working environment, and everyone is close. This year, as a sophomore, I am already ahead of where I was last year during this time. Along the way, I've had to overcome so many obstacles that brought me down, but having a coach and team to hold me up really helped me flourish. I don't know where I'd be right now without Coach Rob, I might've still not have known what a drive phase was. The environment is always positive and we are all soaring together, accomplishing each goal we set. My journey with my team/family is unrivaled and I'm ecstatic to be a part of it. Not only am I a better athlete, but I also developed a killer instinct and appetite for triumph. As a unit, we keep climbing to the top, and keep going faster. As an athlete it can be very discouraging when your visions or dreams don't have the outcomes that you've intended. When I first started running with Rob it showed me that only the strong can SURVIVE. Day by day I started to see improvement. No matter how many times I wanted to breakdown I had to remember that I have people supporting me & who are praying for the best I can give.. You have to remind yourself daily to keep the positive people and positive vibes around you! TRUST in God and know that he gives his toughest battles to the strongest soldiers & HAM team is ready to bring the storm. The training that coach Rob Wheeler has all of his athletes doing has no flaws. He knows what will and what won’t work when attempting to make his athletes faster and stronger. Coach Rob’s training schedule is backed by science, he knows that what he is doing will not hurt us. The workouts that he has us doing hurt, but isn’t that what a good workout is supposed to do? The training is helping us in all aspects of physical activities, from running and jumping, to endurance and strength. This training has that coach Rob Wheeler has us doing has helped kids that possibly wouldn’t have went to college, go. Even if his past athletes decided not to run in college, his training got the recognized to be able to receive academic scholarships as well. His training is doing nothing but helping the athletes that choose to endure it. Coach Rob Wheeler knows what he is doing and it’s working, look at all of the kids that he’s sent off to college on athletic scholarships that he’s trained in the past. The training that he puts us through has been proven to work year after year with all his athletes getting scholarships. So if it’s not broken, why fix it? 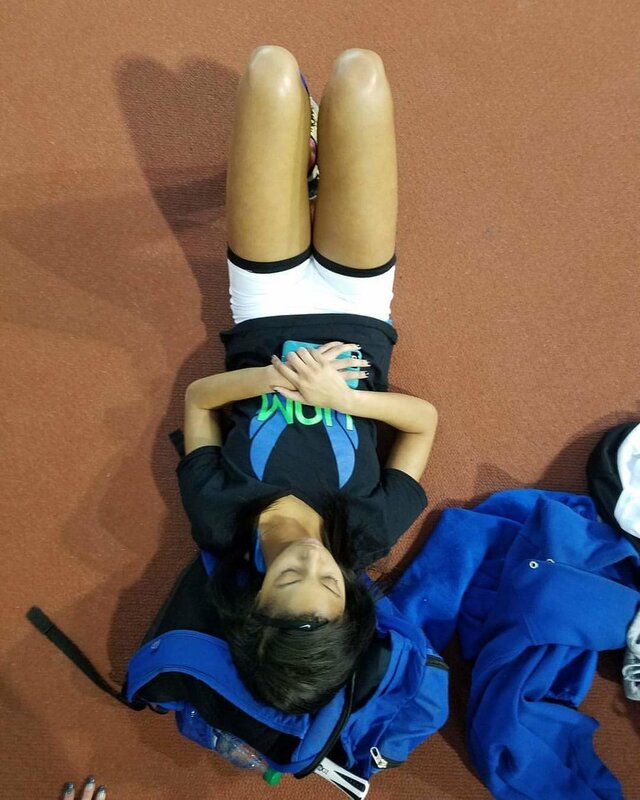 My daughter, ReAuna, had no clue about track. She has trained with Coach Rob since April 2015. She has gained speed, endurance and confidence since Running with HAMTeam. I love the Coach's ability to nurture and train all the kids who are part of HAMTeam.